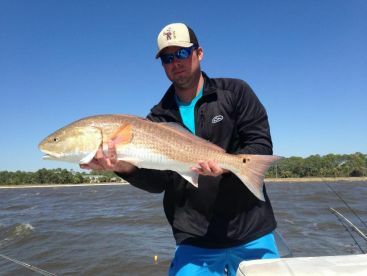 If there’s one thing Port St Joe fishing charters are really good at, it’s providing a memorable experience. Yes, this may be the ‘Forgotten Coast’, but if you’re looking for a fish of a lifetime, this isn’t a bad place to start. 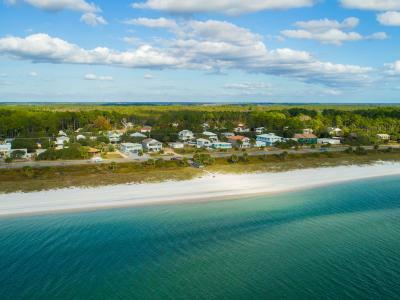 Bursting with all the treasures of Florida’s Panhandle, this little town can rival many of Florida's better known fisheries. What makes fishing in Port St Joe so special, though, is its character. This is one of the few towns in Florida where you can step aboard a fishing charter as a customer, and leave as a friend. Dip a line, tell a joke with a local guide, and you’ll find that this ‘small town with a big heart’ has a whole lot to give. 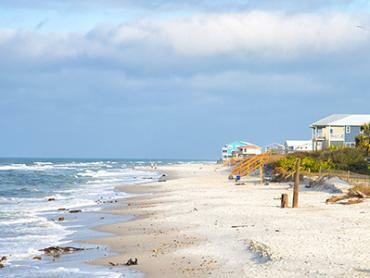 Located in Gulf County on Florida’s Panhandle, Port St Joe is somewhat off the beaten track. So much so, it’s rumored that the nickname ‘the Forgotten Coast’ arose from the local area literally being left off the tourist map back in the 90s. But we wouldn’t say this is a bad thing. With a compact historical city center, famously tasty oysters and shrimps, unspoilt sandy beaches, and supposedly one of the friendliest populations in the entire state, it’s no wonder that the people who do come here want to keep it a secret. This all just gets better once you get out on the water. 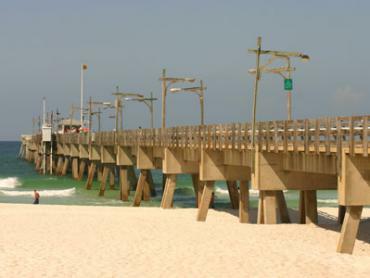 The bountiful St Joseph Bay is on the town’s doorstep, while the open waters of the Gulf of Mexico are easily accessible even on a half day trip. And with everything from Sharks to Bull Redfish making their way onto boats throughout the year, there’s never a bad time to get out on the water. All you need to do is know where to start. The 15 mile-long St Joseph Bay is what Port St Joe fishing is all about. 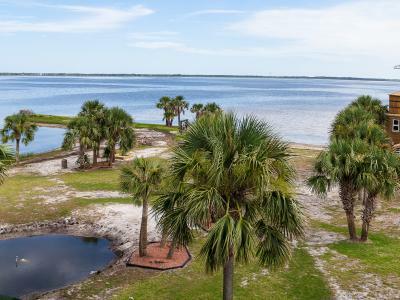 The expansive grass flats of this Aquatic Preserve attract a full range of Floridian gamefish, with Bull Redfish, Tarpon, Gator Trout, Tripletail, and Sand Trout making up just a few of the species that call these waters home. This is the only bay in the eastern part of the Gulf of Mexico that doesn’t have fresh water flowing into it, making it the perfect nursery for saltwater species. And with five different species of seagrass to choose from round here, even the pickiest fish can find somewhere to hide. 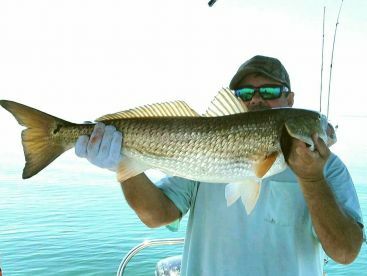 The local waters are famous for their clear waters, meaning St Joseph Bay fishing can be your perfect opportunity to practise sight casting for Redfish. And if you’re a fan of seafood, this is the place for you. 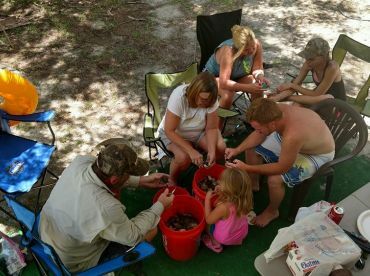 The very same grass beds that make the perfect foraging ground for Redfish and Trout are also the ideal habitat for one of the Panhandle’s most sought-after specialities—the Scallop. At the same time, there’s less shoreline development here than almost anywhere else in Florida. It’s hard to think of a nicer place to take a relaxing break away from the city. Port St Joe isn’t all about inshore fishing, though. 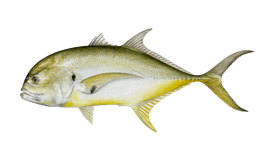 Head outside of the bay into the Gulf of Mexico, and you’ll be right on the migratory route of Floridian heavyweights such as Amberjack, King Mackerel, Red Snapper, and Cobia. Most fishing charters will combine trolling with bottom fishing on their offshore trips, allowing you to get the best of both worlds, pulling in some food fish and experiencing the thrill of the pelagic bite at the same time. Port St Joe offshore charters generally fish no more than about ten miles from the shore. But when the state waters have so much to give, it’s no wonder. 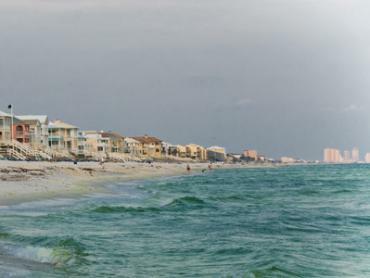 The Mexico Beach Artificial Reef Association has been taking care of the area’s seafloor since the late 1990s. This means people fishing out of Port St Joe can access well-maintained natural and artificial marine reefs within just 5 miles of the coast. St Joseph Bay isn’t the only unspoilt inshore fishing hotspot in these parts. 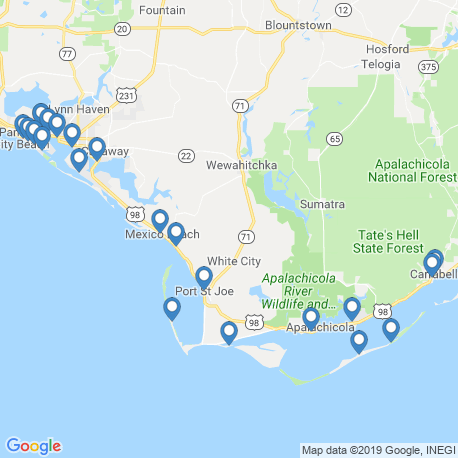 Most local guides travel to areas such as Cape San Blas, Indian Pass, St Vincent Island, and the Apalachicola Bay to follow the bite. All these can be accessed on a typical trip heading out of Port St Joe, and each one has its own unique attractions. Take your fishing rod northeast out of Port St Joe, and you’ll have plenty to keep you busy. The inland waterways start with the Gulf County Canal, which connects St Joseph Bay with the Intracoastal Waterway. This is the perfect place to find Redfish and Trout in the winter, while Spanish Mackerel, Trout, and Bluefish gather at the mouth of the canal during the summer. Travel south down the Intracoastal Waterway, and you’ll reach Lake Wimico, a freshwater paradise that is only accessible by boat. Surrounded by swamps and hairline tributaries, this is one of the best places around to catch a prize Largemouth Bass. As if that wasn’t enough, the Dead Lakes, a haven for Flathead Catfish, Bass, and Red Bellied Bream, are just over half an hour’s drive from town. 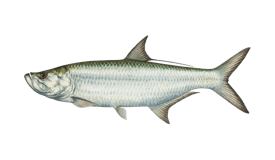 The annual Tarpon run is something you won’t want to miss in Port St Joe. The Silver King enters the bay in huge numbers—it’s not unusual to see a hundred of these fish barreling through the shallow waters. Local guides fish for them with anything from dead Pogy to soft plastics and flies. Whichever bait you use, get ready for a fight you won’t forget in a hurry. Live Pogies are also a local favorite when it comes to offshore fishing. 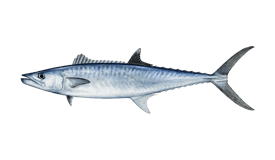 Freeline them for King Mackerel over the nearshore wrecks and reefs or drop them down around bottom structure for a fierce Amberjack bite. Port St Joe fishing charters are generally priced at around $100 per hour, give or take $50 or so. 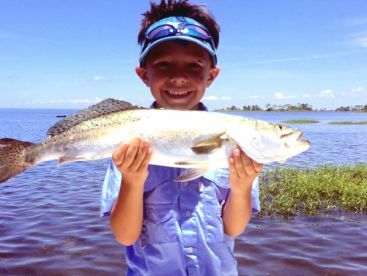 Anglers usually find a half day trip gives them time to drift the flats of St Joe Bay for Trout and Redfish, search for the area’s famously big Tripletail under flotsam and jetsam on the surface, or target Spanish Mackerel, Cobia, Sharks, and more around the local buoys. Most local fishing guides recommend a six hour trip to really make the most of the area. This will give you time to troll offshore for King Mackerel, fight with Amberjack over bottom structure, or bottom fish for Snappers. 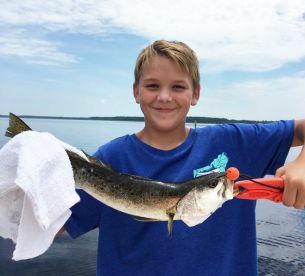 With this extra time to play with, you can also experience a variety of different inshore fishing techniques, depending on your wishes and experience. Most boats fish out of the Port St Joe Marina, which is easily accessible from the retail area of downtown Port St Joe. 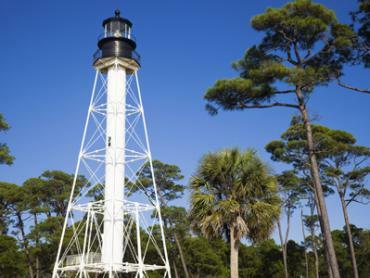 Conveniently located by the historic Cape San Blas Lighthouse, the marina features parking, fish cleaning stations, a small restaurant, and bait purchasing facilities. Some guides trailer their boats to access the best bite for the day of the trip, so make sure to confirm the departure point with your guide before you arrive. Don’t forget to bring polarized sunglasses to get the best experience on the water. Non-marking shoes, sunscreen, and suitable clothes for the weather are also essentials. If you’re coming in the summer, swimming and snorkeling gear is essential: we bet you won’t be able to resist getting into the clean, warm waters to hunt for scallops! All licensed fishing charters cover fishing licenses for their guests. However, if you're fishing from the shore or from your own boat, you will need to purchase a valid Florida fishing license prior to your outing. January is all about backwater fishing in Port St Joe. With colder water temperatures in the bay, look for Redfish and Trout in the Intracoastal Waterway and Gulf County Canal. Live bait is the way to go in this weather. Winter fishing continues, with the best results coming from fishing deep in the backcountry waters. 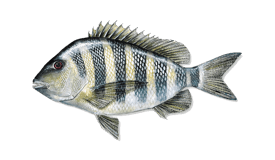 In the bay, Sheepshead are usually biting in good numbers. 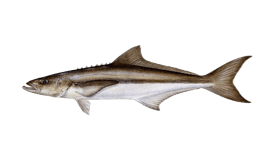 But watch out: these tasty fish are renowned for stealing bait! The waters and the fishing gradually start to warm up, just in time for Spring Break. Guides come back onto the water after a winter of hunting, and the bay starts to fill up with people on cruises and fishing charters. The fishing gets better and better in Port St Joe in the springtime. Redfish come out into the bay and are joined by big 'Gator' Trout. Joining them come Pompano, Spanish Mackerel, Ladyfish, Bluefish, and Sharks. May could be one of the best times to fish these waters. The flats of St Joe Bay come alive with Redfish and Trout, making for fun fishing with a lot of topwater action. This is your chance to hook an 8lb Redfish on light tackle! The impressive action on the flats continues, with Inshore Slams becoming common on charter trips. Tripletail is also being caught in good numbers. Meanwhile, Bull, Nurse, and Blacktip Sharks peruse the waterways. As the waters warm, the Redfish and Trout action can quiet down a little on the flats. But with big Tarpon, Sharks, Jacks, Tripletail, and Spanish Mackerel all being caught nearshore, there are plenty of reasons to dip a line. Summer fishing is all about variety in these parts. 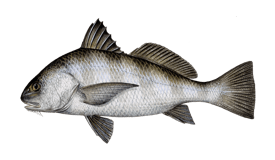 Most of the fishing is focused on having a good time, with the catch and release Shark action being excellent, and Tripletail making for a good fight and an amazing meal. September is prime time for scalloping in the grass beds of St Joe Bay. Make sure to bring your snorkeling gear if you come at this time of year, as the waters are just right for taking a dip. Fishing remains good, too. As the month progresses, colder conditions gradually start to set in. 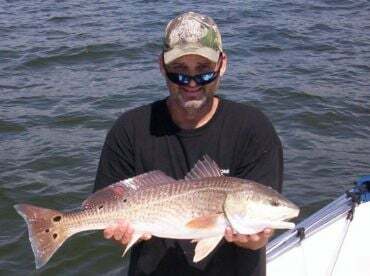 This is great news for anglers, who usually notice a much better bite from Redfish and Trout. 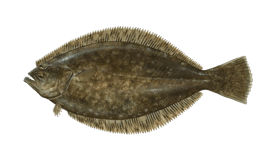 With Flounder also available, it's Slam season once again. Fall fishing is some of the best you can get in Port St Joe. 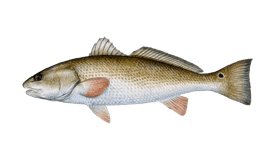 Look out for migrating Bull Redfish, as well as Speckled Trout, Black Drum, and Pompano. There's plenty to fill the freezer, and the action is hot, too. As winter sets in, the fish start to move into deeper holes in the bay and backcountry. Live bait becomes the weapon of choice. As the small town winds down for winter, some guides turn to hunting rather than fishing. Great fishing town with friendly people. 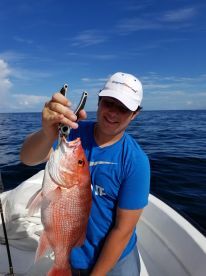 "3/4 day trip with Captain Scooter"
"Awesome day on the gulf"
What would you recommend to anglers fishing in Port St. Joe, Florida for the first time? What would you recommend to anglers fishing in Port St. Joe, Florida for the first time?